If there’s one common criticism of many cinematic and orchestral libraries, it is that composers and producers want to have greater control of their acoustic. 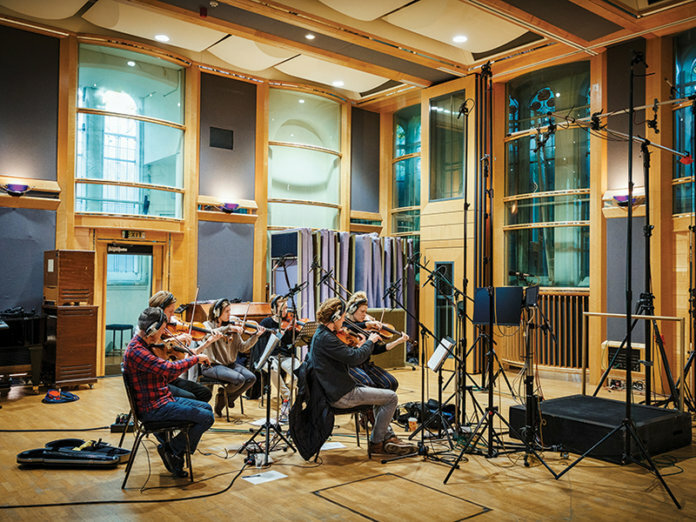 They don’t want to be bound to the recorded environment of a space, whether it’s a pleasant sounding acoustic or not, and that is where the pursuit of the perfect studio-bound string sound begins. 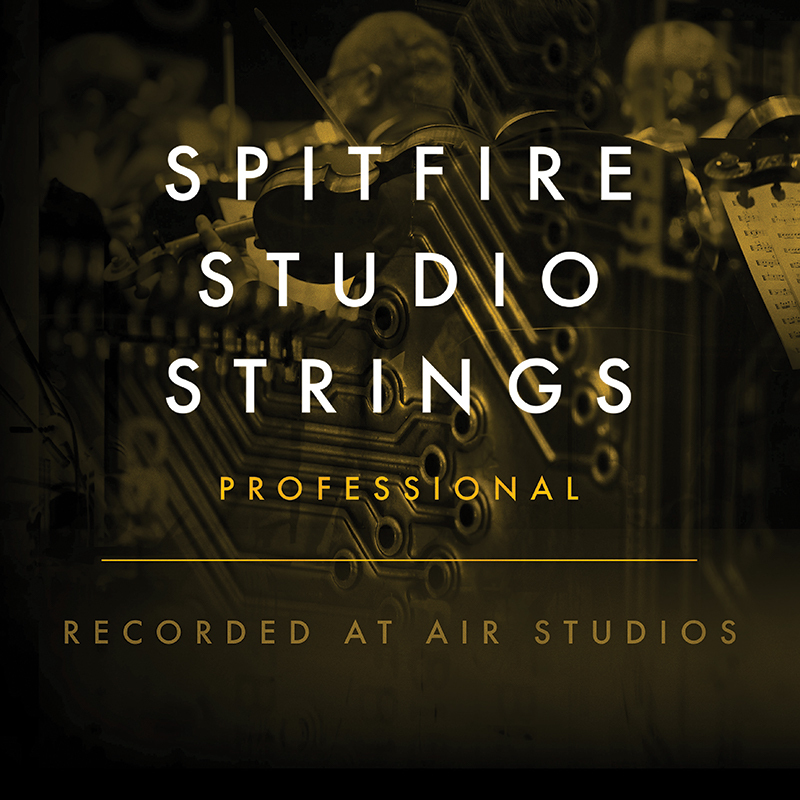 I think it’s fair to say that Spitfire has a great relationship with Air Studios, as can be seen by the majority of their orchestral offerings, where the players placement has, for the most part, been within the beautiful space of the Lyndhurst Hall. Wonderful as this space is, it’s not to everyone’s taste and there are bound to be some professionals who might immediately steer away from some Spitfire libraries, purely because they would prefer a drier acoustic. Sadly, this can never quite be replicated by simply reducing the amount of room acoustic which has been sampled, but Spitfire has a solution. 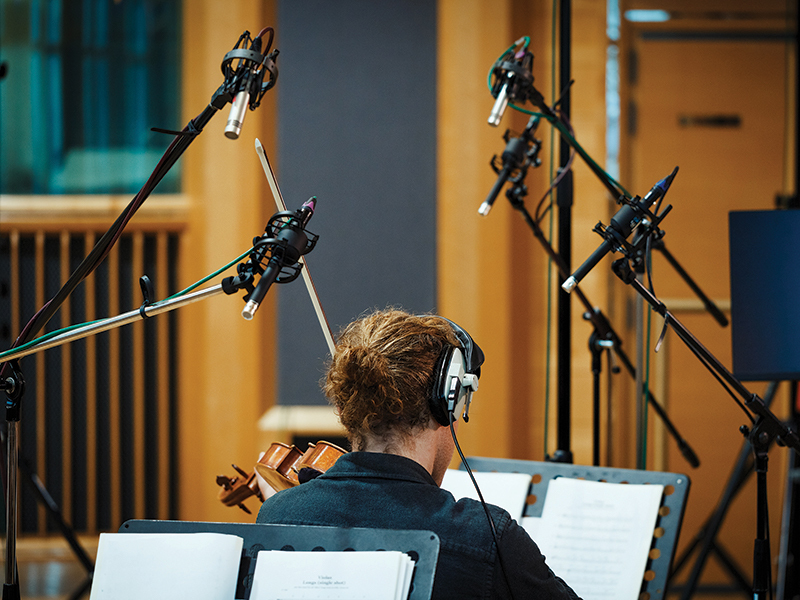 The company has kicked off a new series of libraries (with more to follow in the coming months) which are based at the lesser known, but equally appealing, Air Studio One, a space which offers a drier dimension for today’s producers and soundtrack composers. Studio Strings is available in two forms; the non-professional and professional versions largely offer the same thing, but with a price differential that makes the non-Pro version quite appealing and competitively priced, at a mere £199. 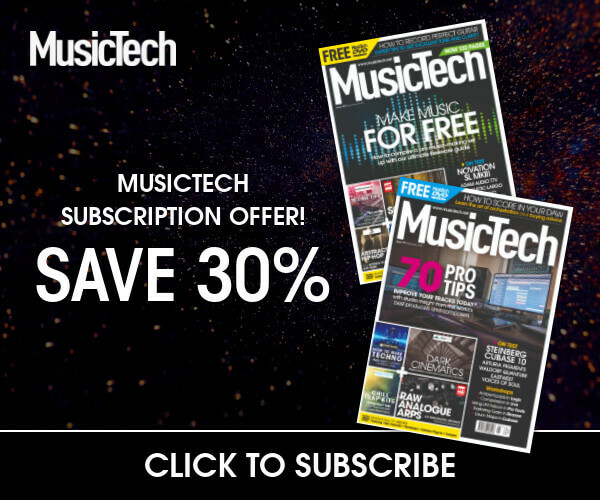 It stands to reason that there is less sampled content at this price, but this largely takes the form of fewer microphone options, so represents something of a bargain in my view, while keeping the sizeable collection of articulations. The Professional version which we have for review, on the other hand, comes equipped with all the usual articulation suspects and more besides, along with excellent options of pre-built stereo mixes alongside the ultimate control of six microphone signals, which can be activated and blended to suit. The only point to raise here is that by activating all six mic channels, you could make a serious dent in your computer’s operating RAM, as I discovered when I loaded all six channels simultaneously. 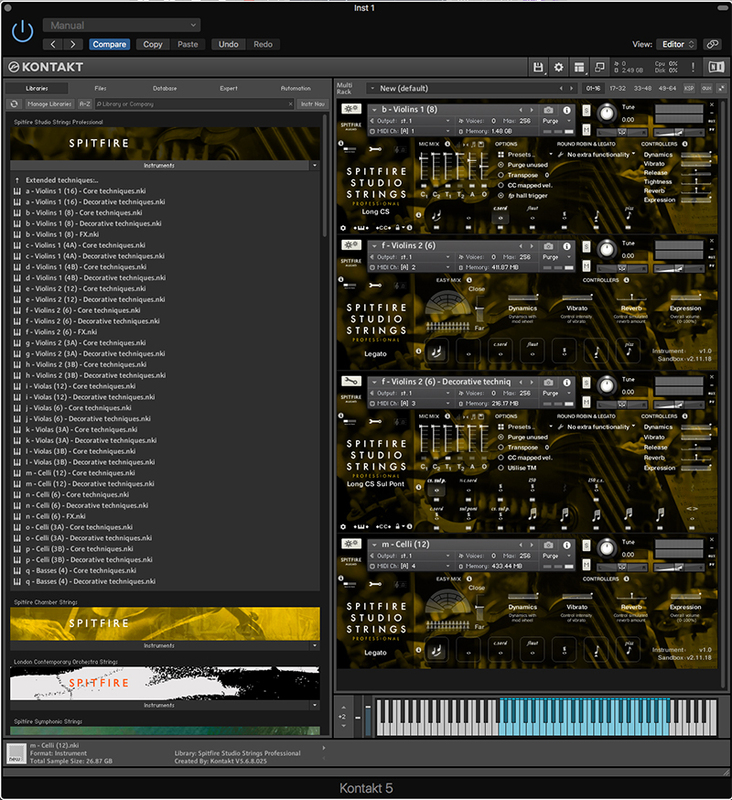 With the basic batch of articulations pre-loaded, the 16-player 1st violin patch quickly moved up to a considerable 3GB of loading, although it is very fair to say that deactivating samples manually, in Kontakt, will help lessen this weight. There’s also the argument that it’s pretty unlikely that you’ll want all six mic channels firing together, and this might be where a switch over to Spitfire’s pre-prepared Stereo Mix patches could appeal. I’ve always been quite a devotee to the Spitfire Stereo Mix cause, where the hard work of mixing and balancing of all of the available mic channels has been done for you. These can be über useful, for reasons of workflow, quality of sound, and the overall lessening of load to my computer while mid-project. 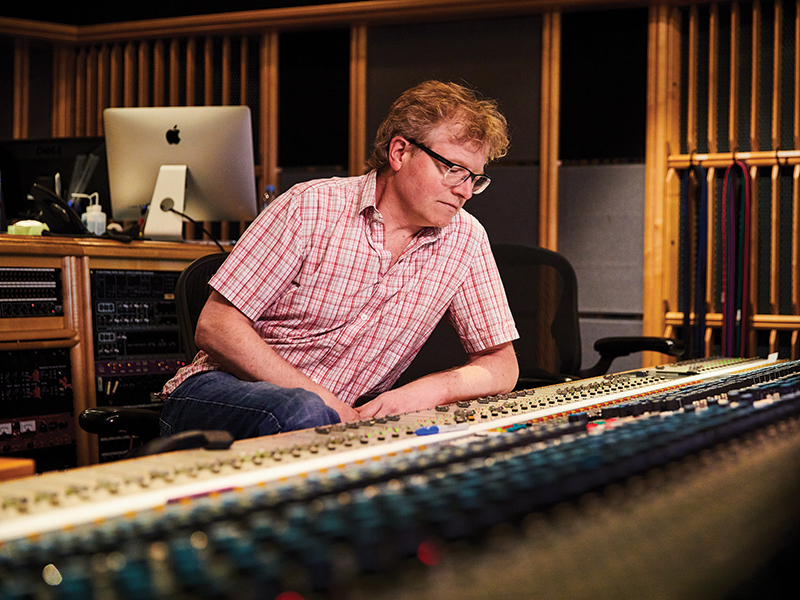 With the move to the drier Air acoustic, Spitfire have enlisted the talents of soundtrack recording heavyweight Simon Rhodes, who has tastefully prepared these stereo mixes, ready for use. In case you need validation, Simon’s resumé makes your jaw drop, as you reel through the movie projects that have exploited his talent, and there’s certainly a straight correlation to something pleasing and useable on the ear, while also allowing for basic fader-based control of Air One’s reverberant ambiance. The only criticism I found overall was that there is a lack of release fader within some patches, which I have found to be really useful in the past, with other Spitfire libraries. With zero reverberation set, the end tails can sometimes feel a little unnatural. Moving on to the actual sound quality itself, and there is a certain assurance of brightness, which I would connect with both the liveliness of the room and the closeness of capture of the rosin on the bow. It sounds unsurprisingly a little American in timbre, which is hardly a shock given the penchant for US libraries recording on sound-stages, and most film score recordings being recorded in the sound-stage environment. If you’re used to a more forgiving acoustic, this might not grab you straight away, but it’s funny how quickly you grow to enjoy the intimacy of space, and in particular find it working well within projects. At the louder end of the dynamic spectrum, I personally found that a couple of the basic legato patches seemed to exhibit a degree of what I refer to as ’toothpaste-tube’ swelling, as movement from one note to the next, in a legato style, did exhibit a degree of lurching and slow attack. What seems odd about this, is that the main culprits seem to be the 1st violins playing in both 16 and 8 player sections. The smaller 1st violin forces seem far tighter, and elsewhere the legato playing is very strong. Away from the legatos, and there are some stunning sound inclusions. The Con Sordino and Flautando come in for particular praise, as a slight wisp of resonance creeps into the colour, but thanks to the dryness of acoustic, sounds stunningly crisp and bright. It’s got that wonderful sense of an expensive sound that just has you lost in the timbre while riding the performance controls, as these colours work exceptionally well, and are useable within the shortest of time frames, which is just what you need. As with plenty of other Spitfire products, there’s an amazingly extensive collection of sound colours waiting to be discovered, by delving deep into their file hierarchy. Apart from helpful Eco/lite versions, there are plenty of decorative effects, runs, falls and other such useful stuff. There is also the inclusion of their Time Machine technology, which will take articulations such as Spiccato and Pizzicato and allow for a slowing of the sample, in real-time, while being triggered. Numerous additional colours appear as a consequence, inviting further musical exploration, while there is also the inclusion of the Ostinato feature, which I have often considered to be a rather under-trumpeted tool, which can be incredibly helpful and a huge time-saver, if used effectively. What sets Studio Strings apart from other Spitfire libraries, is the acoustic colour that surrounds the raw sample. We’re talking orchestral samples here, and by the intrinsic nature of the girth of this medium-sized chamber string section, you still need to house players in a room with reasonable accommodation credentials. The quality of the package is unsurprisingly undeniable, especially if you are used to the usual Spitfire form factor. It conforms to their usual high standards, but delivers a very different experience, once you start to use it. Knowing other professionals, as I do, there is a real Marmite moment when the subject of Air Lyndhurst comes up, and it’s purely down to whether the acoustic of the great hall works for you. This new package will cater for those that yearn for the Spitfire catalogue, but have always wanted the drier environment, but the good news is that there’s so much content, it’s going to satisfy that dry-biased curiosity to a very full degree. The key question here might be, ’do you need a real string section?’ If the answer to that question is a firm yes, you’ll then want to question what acoustic you might like to go alongside it; dry or acoustically wet. 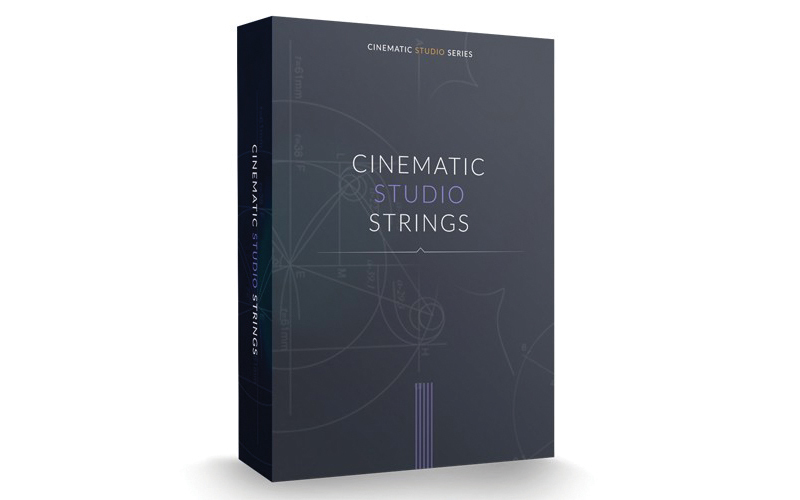 There is no doubt that Studio Strings will probably fit the bill for many producers and composers, who like to exercise greater control over their productions, but by offering a base level Studio Strings and a Pro version, the decision to jump in has never been easier, especially at a starting price of £199. If you don’t need the extra microphones, just go basic as it will still sound excellent, but for the Pro who might even exhibit a degree of OCD (sound familiar?) the top end will offer everything you need to get things to sit where required. Offering an almost mirror image set of credentials, CSS offers a beautifully dry acoustic thanks to the sampled use of a Sound Stage, while also offering a staggeringly good user interface. 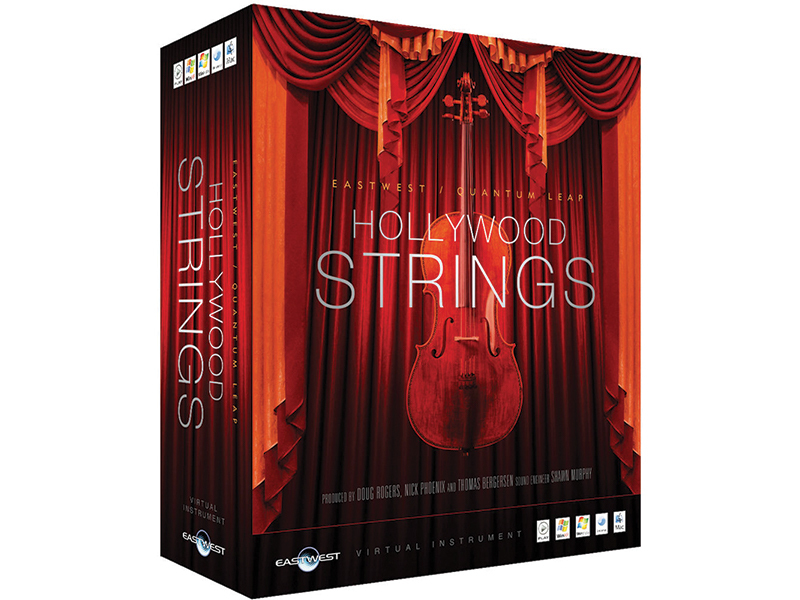 Hollywood Strings was also prepared and recorded on a sound-stage, giving a similarly dry acoustic, with plenty of microphone placement options. It does sound quite bright comparatively.